Daniel has been playing soccer for more than 10 years and has experienced great success. As a youth, he played for local club teams including Fullerton Rangers, where he managed to play at all competitive levels from Recreational through the Premier level as well as Varsity for El Modena High School. As for collegiate soccer, Daniel played for Santiago Canyon College during 2016 and played against other community colleges, NCAA Div.1 schools as well as NAIA schools. Daniel has also played at the competitive adult level with UPSL teams like Cachorros CF and Santa Ana Winds. 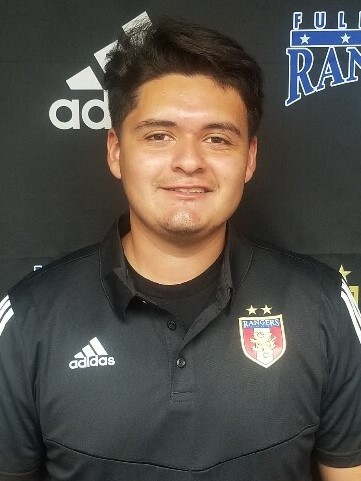 Daniel began coaching with the Fullerton Rangers in 2019. Along with coaching at another club previously, Daniel also coaches his former high school at El Modena where he has been the boys’ Junior Varsity Head Coach for two years. Along with that, he also has numerous working experience with children as he has worked as an after-school teacher and ran many sports recreational programs all around Southern California. Daniel has an AA-T in Liberal Studies and Education and is currently pursuing his Bachelors Degree in Liberal Studies with an emphasis in Elementary Education at Cal State Fullerton. He currently lives with his family in the city of Orange and continues to play soccer competitively.